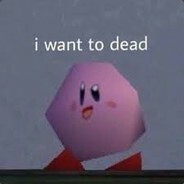 Hi i'm kirby my steam group! shinings fun times! I got trade scammed a while ago by bitskins if you'd like to help m‎e out donate some items to me that you dont want I lost 20+ $! Or just go to his profile and report for scamming thanks guys! he fakes being a modorator and is a scammer also he may try to scam you. I do not accept random friend requests from people I haven’t played with before and dont try to : get in my discord, hang out with me and make me think your cool, get admin and ban everyone. BECAUSE I have mostly everyone added I will only take up to a ref worth of donations at a time. And if you're a scammer don't try scamming me, I'm smarter than you think. GIT GUD AT THE GAME HACKING ♥♥♥♥♥♥UCKER YOUR A WASTE OF OXYGEN! cheater and tells team that you're hacking if you call him out.All out piece of♥♥♥♥♥♥and trash at hiding his hacks.